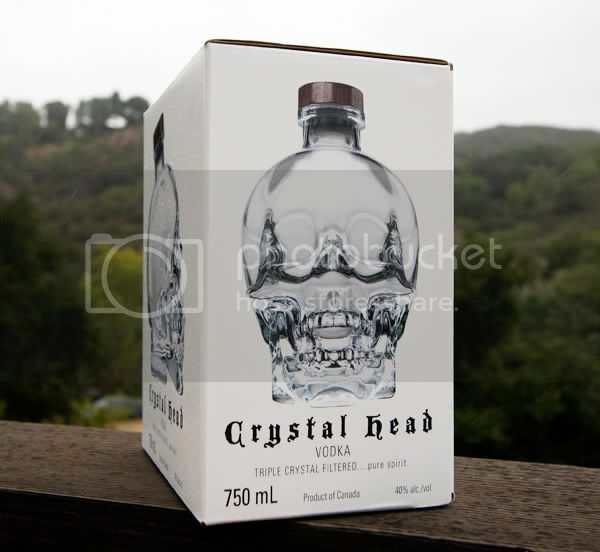 I really have to thank my friend Matt for forwarding me the link to Crystal Head Vodka. It appears that a Dan Aykroyd viral video has been spreading the last couple of days with him touting his own vodka and there was speculation that it was a hoax, partially because the story behind the vodka and Dan's video is a little weird. The inspiration behind Crystal Head Vodka is the story of 13 crystal heads. 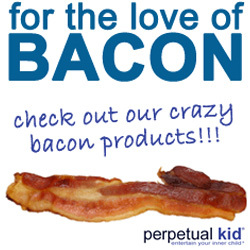 You should really head on over to the site and check it out for yourself. The accurate glass rendering of a human skull was designed by artist John Alexander and the glass skull bottle is made by Bruni Glass in Milan, Italy. The vodka is produced by Diamond Estates Wines & Spirits Ltd, out of Newfoundland water triple crystal filtered through herkimer diamonds (aka double-terminated quartz crystals). Personally, I don't care what Dan Aykroyd has been smoking because he's made possible this amazing glass skull bottle for the vodka that for which I will soon be scouring the local liquor stores. Truthfully, I'm not much of a drinker but if could make Bacon Vodka to serve from this awesome skull bottle, my life would come full circle. I'M so going to try to convince double down to get this for the bacon vodka. If you find it please let me know, so far I have been striking out wherever I go. I had some bacon infused vodka a couple weeks ago. It was in a "Squealer Mary" which was a bloody mary, rimmed with bacon salt, bacon infused vodka, and served with a slice of bacon in it! That was one hell of a brunch drink! Wow to the crystal skull (a subject sometimes discussed on Coast to Coast - minus the vodka) and double yay for that Homade bacon vodka recipe. I LOVE THIS FREAKING BLOG! Crytsal Head is awesome, it's actually really good vodka, but I confess I only bought it for the killer bottle. My only complaint is that now I have to buy 12 more of these so that I will gain all the knowledge in the universe and be visited by aliens. Kudos on the marketing skills Dan, you wierdo. GEEMIAMI- I have it at home. Let me tell you that a friend gave it to me and she threw up on it! she said it was cursed! !..it cracked me up!!.. but i took three shots and i passed out lovely... Good Stuff!